Traditional Irish Cottages. Self Catering accommodation at its best! The colourful Huddleston’s Cottage is named after the last family to live there. 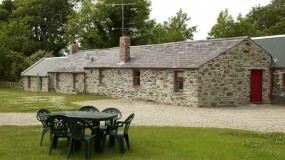 Orchard Cottage, dating from c.1700, has character of its own, being built from the local field stone. While Buttermilk is our most spacious cottage, it retains the intimacy of the dwellings from which it originates. 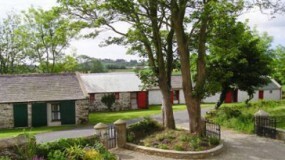 Jim and Jeanie Morrison, well known in the dairy farming fraternity, have restored a row of 18th century traditional, well constructed, Irish cottages, preserving their heritage and providing ideal holiday cottages. 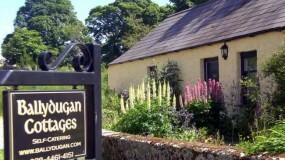 Ballydugan self catering cottages are situated in Ballydugan, two miles from Downpatrick, County Down, the reputed burial place of St. Patrick and close to the village of Saul, where the patron saint of Ireland first landed in his coracle in 432 AD. 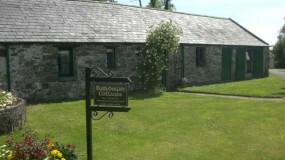 Enjoy self catering accommodation in traditional Irish cottages at Ballydugan Cottages, Downpatrick County Down. Jeannie Morrison, had to make a decision on the future of the cottages, at Ballydugan near Downpatrick, entrusted to her by the family. The unusual quality of the cottages at Ballydugan is the way they form a “clachan” or cluster of dwellings on either side of a narrow road.